With Easter upon us, I’m feeling like one generous Jew. This Easter, my sister Mandy is coming to town with the fam and I could not be more excited. It’s not often I have my niece and nephew at my home so I’m taking full advantage of hosting them. First, we’ll be having a big family seder for Passover. We are going to cook a delicious meal together, set the table, say the prayers and EAT. The high Jewish holidays are my favorite, always have been. The next morning, we’re going to have Easter brunch. Bagels, chocolates and GOLDEN EGGS. I found these amazing golden eggs at Target and have filled them with all kinds of sweets and treats for the kids to enjoy. To find the golden eggs, I created a treasure hunt with clues for them to solve problems in and around the house. They are going to LOVE this! Ah, I can’t wait! Now guess what? 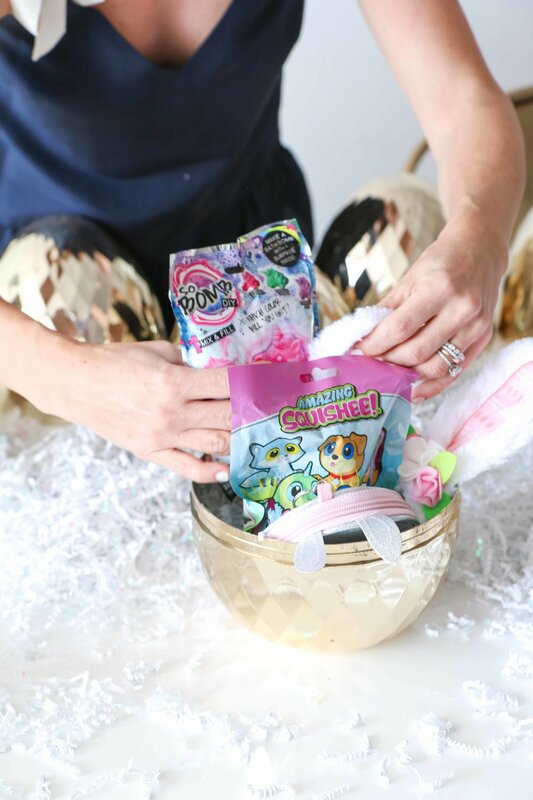 We are going to GIVE AWAY A PARTY IN A GOLDEN EGG! Share your favorite Spring Emojis with us over in the comments of our Instagram and tag your friends to share the fun! We will draw one lucky winner to win on Friday April 12th at noon on our story.